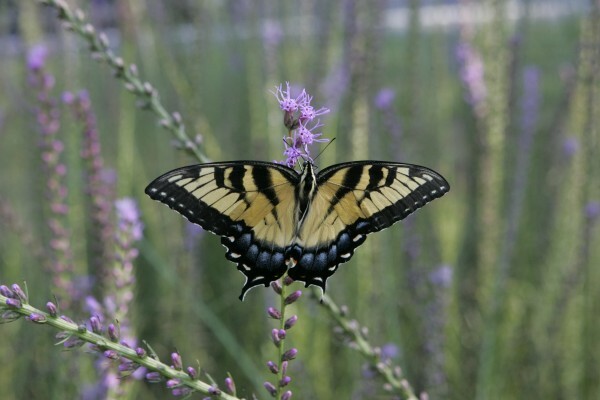 Why we plant native: butterfly nectaring on Blazing Star. This article was originally published in the 2011 Guide for Real Florida Gardeners, sponsored by the Florida Wildflower Foundation. 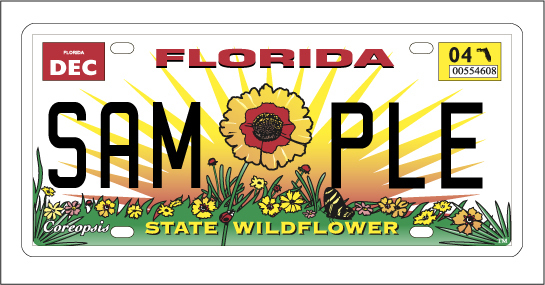 The Foundation is funded in large part by sales of the Florida wildflower license plate, which provides the only significant consistent source of funding for native plant education, planting and research. Showy flowers make Florida’s Blazing Stars a hit with people and butterflies. In colors ranging from pinkish white to bright magenta, native Blazing Stars (Liatris genus) bloom from summer through late fall, depending on species and location. Planted in the right spot – full sun in dry to moist, very well-drained soils – native Blazing Stars are highly drought tolerant and require little or no irrigation after establishment. Blazing Stars are among our taller wildflowers, with flowering stems from 2-5 feet high (sometimes higher), depending on species and soil fertility. Most grow one or a few erect flowering stems that provide vertical interest. Blazing Stars take little space and can be used in small gardens. Foliage tends to be thin or not particularly noticeable. A mass planting of Blazing Stars in bloom is a spectacular sight to behold, but a more practical approach for many gardeners will be to mix Blazing Stars with other species so that something is always blooming in the garden. Mixing species can result in a very interesting, ever-changing look. The thin, stiff upright silhouette of Blazing Stars can be complemented by plants with rounder or spreading forms, wide strappy leaves, and different flower shapes and sizes. Other natives that combine well with blazing stars include Black-eyed Susans (Rudbeckia spp. ), Goldenrod (Solidago spp. ), Coreopsis spp., Salvia spp., Goldenaster (Chrysopis spp. and Pityopsis graminifolia), Partridge Pea (Chamaecrista fasiculata), Rosinflower (Silphium spp.) and ornamental grasses such as Lopsided Indiangrass (Sorghastrum secundum), Lovegrass (Eragrostis spp. ), Muhlygrass (Muhlenbergia capillaris), Wiregrass (Aristida spp. ), Bluestems (Andropogon spp.) and Pineywoods Dropseed (Sporobolus junceus). Mass plantings of Blazing Stars can be pretty spectacular. Photo by Troy Springer, Springer Environmental. Planting multiple species of Blazing Stars is a good idea too – and may mean that you can enjoy these pretty plants from summer through fall. Blazing Stars may lean and even fall over. If desired, the stems can be staked or, in a mass planting, removed if the formality of upright stems is desired. Plants will die back after blooming, but some will reappear in spring. Some plants last for years. Blazing Stars are also reliable reseeders, and you can collect and plant seed where you want it or allow the plants to self-seed. Learn to recognize young leaves so you don’t weed out your baby Blazing Stars. Dead stems shelter insects, an important food source for birds who will use the stems as a place to hang out while hunting for insects, and will also feed on the seeds. If necessary, the stems can be removed. It’s best not to use fertilizer, which can cause rapid, weak growth and susceptibility to disease. Blazing Stars are excellent nectar plants and will reliably attract numerous butterflies, moths, bees and other insect pollinators. Birds feed on ripening seeds and on the insects attracted to the flowers. Hummingbirds may nectar on the flowers. Blazing Stars have long been used in floral bouquets. They bloom from the top down and will continue to bloom after cutting. Native Americans used Blazing Stars to treat a variety of illnesses, and researchers have discovered anti-cancer substances in various species. Modern herbalists use the plants for homeopathic remedies and in potpourris and insect repellants. Seventeen species of Blazing Star (Liatris genus) are found in Florida’s wild flatwoods, prairies, sandhills, dry open hammocks and even some dunes, but fewer than half are in cultivation. 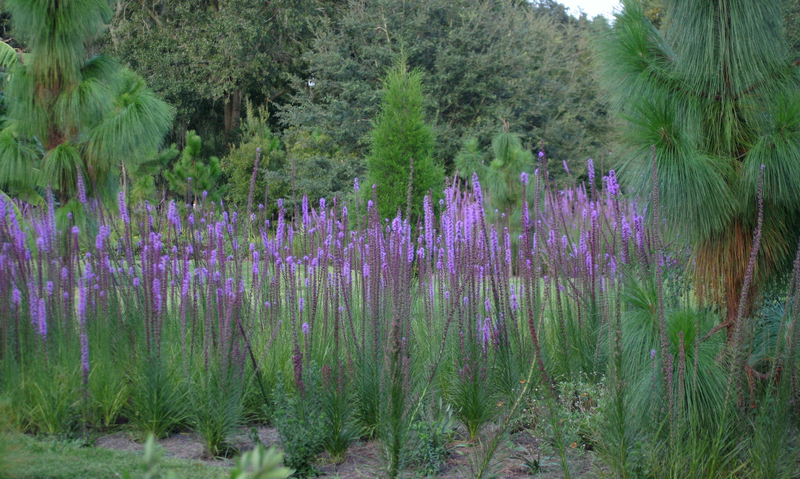 Four of our native Liatris species are endemic – meaning they naturally occur only in Florida, nowhere else on Earth. Three of those four species are now endangered. 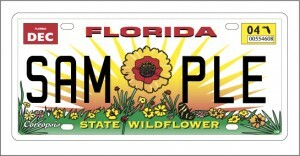 In 2010, the Florida Wildflower Foundation awarded a $5,000 grant to the Florida Native Plant Society for research into Liatris species seed protocols. The project will investigate sustainable seed harvesting, conditioning and storage methods, which will help growers produce more plants and seeds for market.